Aptly named, a virtual private server (VPS) is a virtual machine. It’s offered as a service, not a tangible good, by many hosting services companies. It might be virtual, but it’s capable of operating a unique copy of an operating system (OS). As a customer who depends on a VPS, “superuser access” is granted so you can choose to install or upgrade “virtually” any software that’s compatible with the OS. For most intents and purposes, a VPS is very similar to a physical dedicated server. You don’t share your VPS with anyone else, it offers better and faster services than shared hosting, and you enjoy added security since there aren’t any other hands in the pot besides you and your VPS manager. The physical, underlying hardware of a VPS and dedicated server are nearly identical—but that’s where similarities end. A VPS is defined by software, which makes it a lot simpler to configure and create. VPSs are also much more affordable than a physical server, but their performance may be more dictated by workload. There are pros and cons to every type of server, and price is just one factor to consider. If there was one perfect, affordable option out there to suit everyone, there wouldn’t be any need for variety. You’ll still be sharing some resources with a VPS, but with much better security. However, this also depends on the virtualization that’s used. For example, individual VPS is more isolated and can operate on an independent OS, which is re-bootable from just about anywhere. A recent popular approach is to partition single servers so they act like multi-servers operating on microcomputers. In this instance, a physical server operates a hypervisor to release, create and manage resources of the “guest” OS. The guest OS, or virtual machines, get part of the resources from the physical server earmarked just for them. VPS is a common option for web hosting providers to offer. Since there are many hurdles with proprietary software licensing, it can be challenging to get quality VPS options on the market. There are a variety of VPS options available, from “self-managed” to cloud servers. Take note that cloud servers can manage extra hardware. Upgrade disk space, memory, add other resources, such as bandwidth, IP addresses, etc.) or just migrate to a higher plan. Our customer care specialists will have the right answer ready for you. Giving the customer amazing input regarding a question is our starting point. 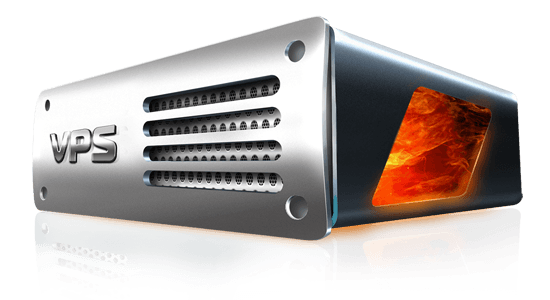 Our Virtual Private Servers are directly allocated real physical hardware from the host machine and are fully isolated from other virtual machines running on the host. Redundant internet and power connections means there is no single point of failure for genuine 100% uptime. Plus, you’ll enjoy Anycast DNS networking, a routing option where one IP address is assigned to many hosts/servers, ensuring traffic is sent to the closest server to you. We have a wide range of ready-to-use O/S templates in our catalogue, but should there be something you want and is not in our list let us know and we will add it.